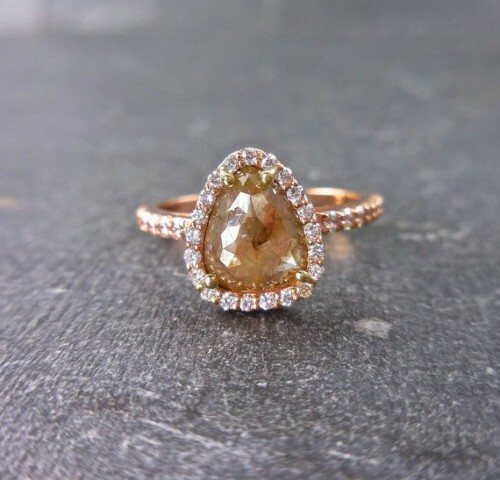 We are simply smitten with this exquisite rose gold engagement ring from aardvarkjewellery! 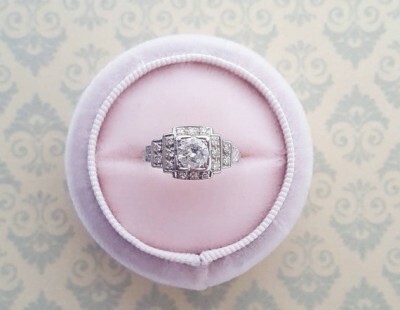 With a luxurious diamond centre surrounded by six further diamonds, this ring is ultra-romantic! 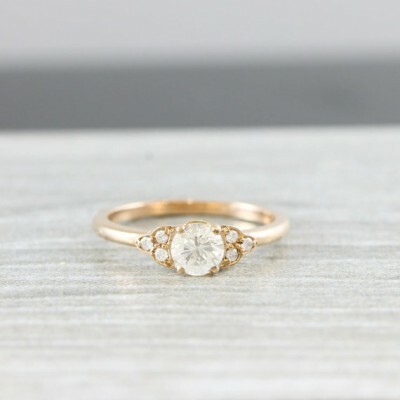 How beautiful is this handmade gold engagement ring by TheJewellCollector? The heavenly combination of the pear cut diamond centre and surrounding diamond clusters will make sure your ring sparkles all day long! 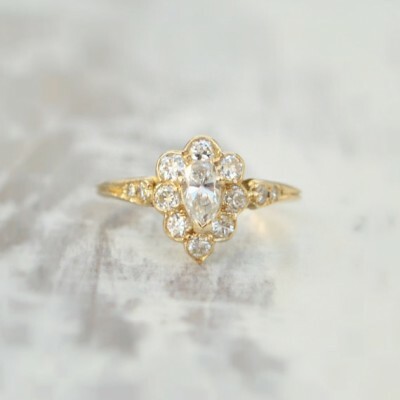 It’s impossible not to fall head over heels in love with engagement rings with a dash of vintage inspiration, and this Art Deco ring by AnnabelleBlackstone is no exception! 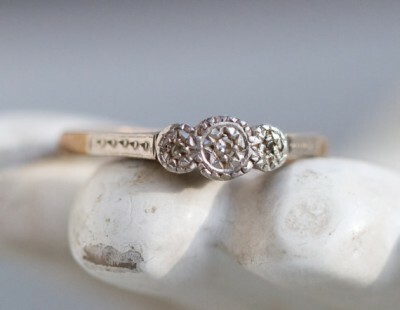 Channel Gatsby glamour with this gorgeous Art Deco engagement ring from Meanglean. Plus, engagement rings with three stones symbolise friendship, love and fidelity! 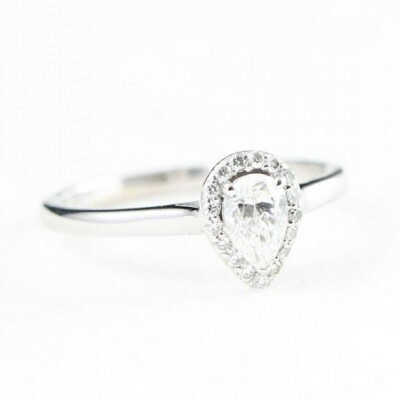 Unleash your inner Hollywood Starlet with this gorgeous pear cut solitaire engagement ring by aardvarkjewelley! With an abundance of sparkle and a serious handful of glamour, this is a fabulous choice for a glitzy girl who wants her engagement ring to dazzle. Ladies, listen up! We’ve found your perfect ‘Something Blue’. 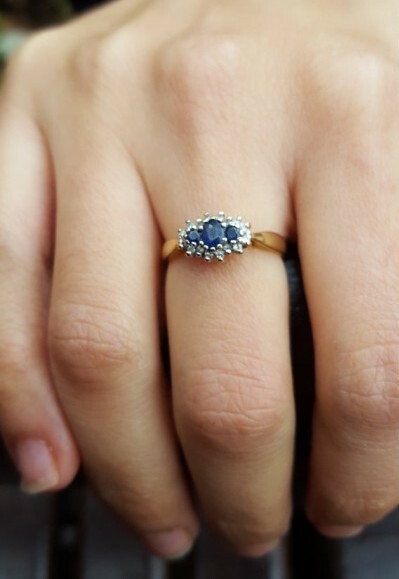 We simply couldn’t resist including this drop-dead-gorgeous sapphire engagement ring from PortobelloStones. Copper has been a huge hit in 2016 – whether it’s weddings, interiors or fashion everyone seems to adore it. Which is why we’ve included this fabulous brown copper engagement ring by JewelLuxe. 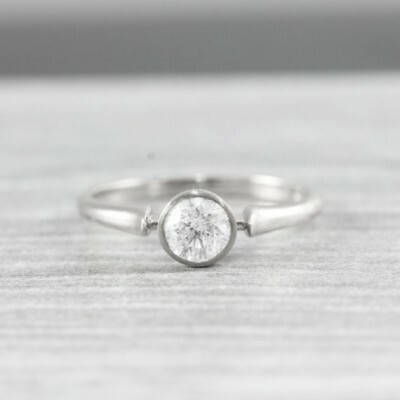 This is a wonderful choice of engagement ring if you’re looking something unique and elegant with a fashionable twist. Any girl would be happy with this sensational engagement ring by PenelliBelle. 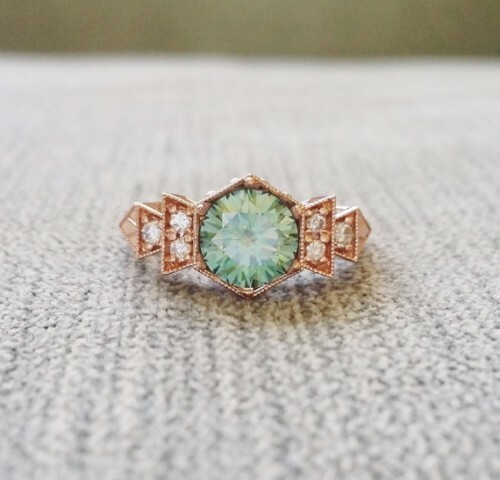 Featuring a striking icy blue moissanit with a 1920s copper band, this engagement will look oh-so-glamorous on your finger! 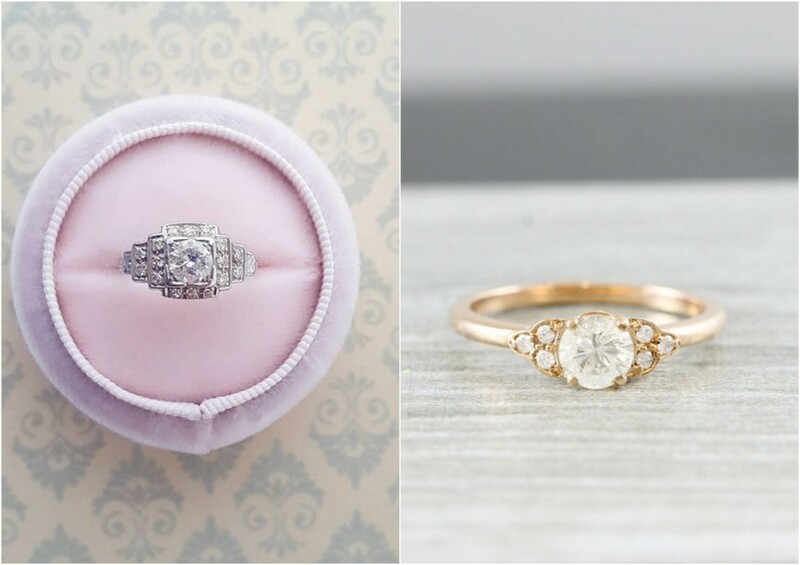 What a wonderful collection of swoon-worthy engagement rings, and if you love this list, you might also go a bit crazy for these collections of gorgeous engagement rings too! Check out my Etsy faves and these rose gold beauties and this very popular post. These are amazing engagement rings. 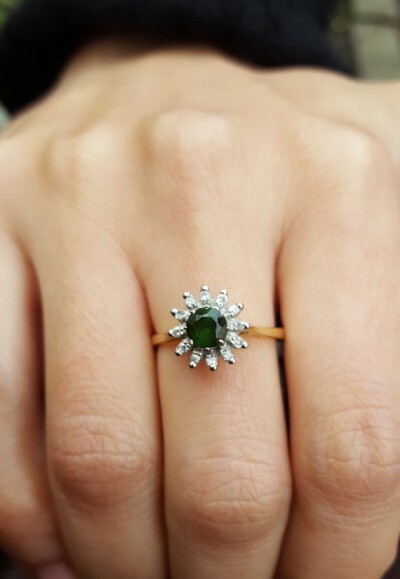 There are so many options to choose from, but I love the Sapphire and Emerald ring the most.